Hi everyone are you ready to "Rock the Red" Challenge here on the Emerald Creek Supplies Challenge Blog!!! 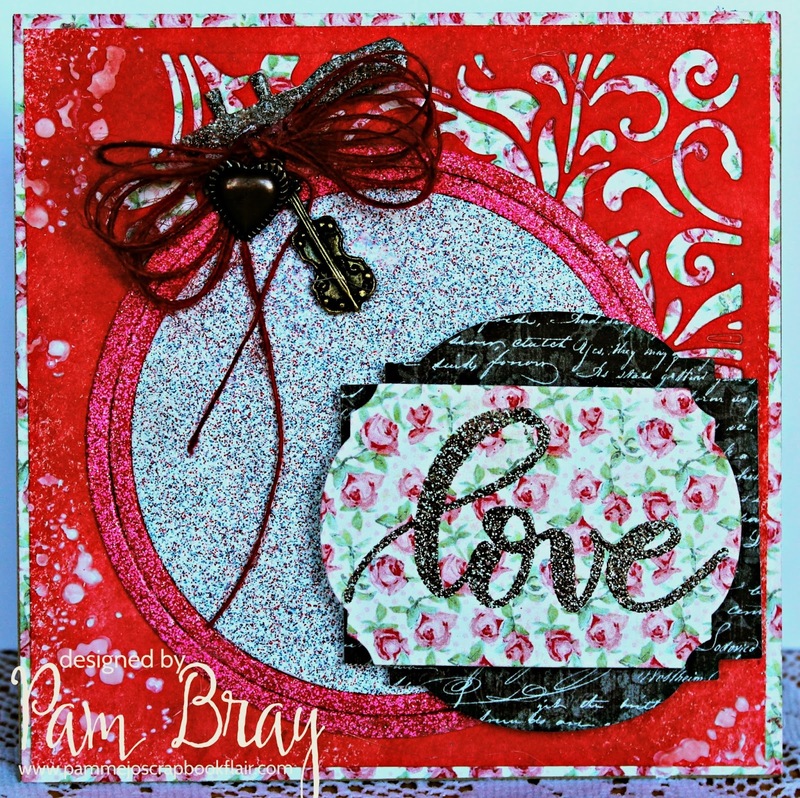 I created a "Love" Card using one of Kelly Klapstein Stamps that Emerald Creek Supplies manufactures along with fabulous embossing powder and charms that are also available in the Emerald Creek Supplies Store! Mist watercolor paper with water. Spray a mix of distress reinkers or distress spray to top of wet watercolor paper. Die cut mixed media die using prepared paper. Adhere pattern paper to top of card base; add prepared water colored paper to top. Die cut embroidery hoop out of mat board. Apply embossing powder to each part of embroidery hoop using VersaMark. Add to front of card. Lay stencil on edges of prepared front; carefully add crackle paste with palette knife. Allow to dry. Die cut labels from pattern paper. Stamp "Love" with VersaMark and apply embossing powder. Heat set with heat gun. Add prepared labels to top of card front with pop dots. Add charms and bow to top of embroidery hop. Thanks for stopping by today and remember to join us on the Emerald Creek Supplies Challenge Blog linking your "Rock the Red" projects. ALSO....there is a wonderful $50.00 Gift Card that will be given to the winner of the challenge. Love this project Pam!! That die cut on the red is one of my faves! The embroidery hoop turned out amazing! Wonderful card Pam! Love how you've combined all the powders so beautifully together. Kelly's love word was the perfect addition to your card!